Ellis Gourmet is an initiative of five business friends. 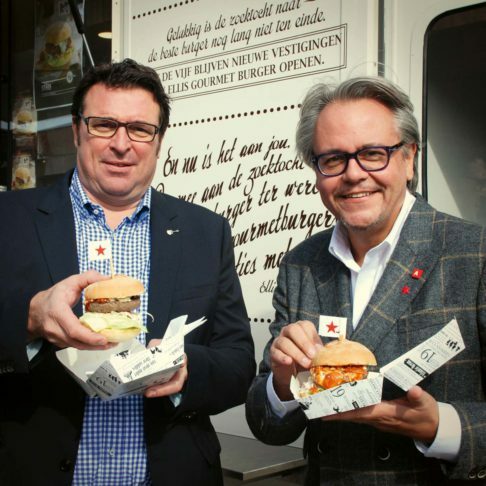 They started with one restaurant in Antwerp and travelled round the world searching for the perfect burger. In New York they noticed the enormous culture of food trucks. Inspired by this, they asked us to build the Ellis food truck. 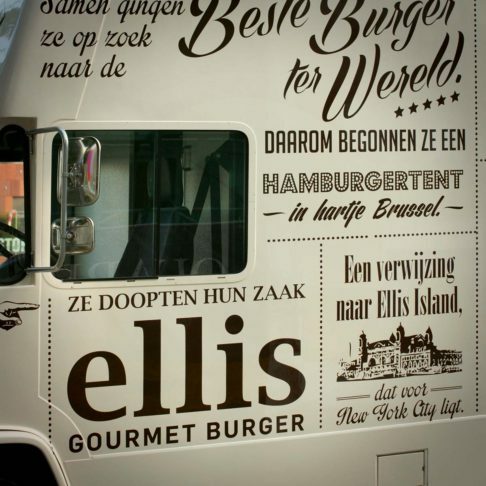 Nowadays, Ellis Gourmet has 10 restaurants in Belgium, The Netherlands and France. The Ellis food truck is still part of the strategy and vision of the five friends. On the one hand as marketing tool, for example in cities where Ellis wants to open a new restaurant. On the other hand you can find the Ellis food truck on festivals and events or event rent the truck for private parties.